Me and My Thoughts: Hoppin' with Xyron & Maya Road today!! Hoppin' with Xyron & Maya Road today!! This week Xyron has teamed up with Maya Road!!! So much fun!! We got quite a few goodies to play with and I chose to use a few of them on this layout. I also partnered these amazing products up with some of the new Sn@p Cards (HER) from Simple Stories. After figuring out the placement of the cards & photos I began adhering things into place using the Xyron Mega Runner. 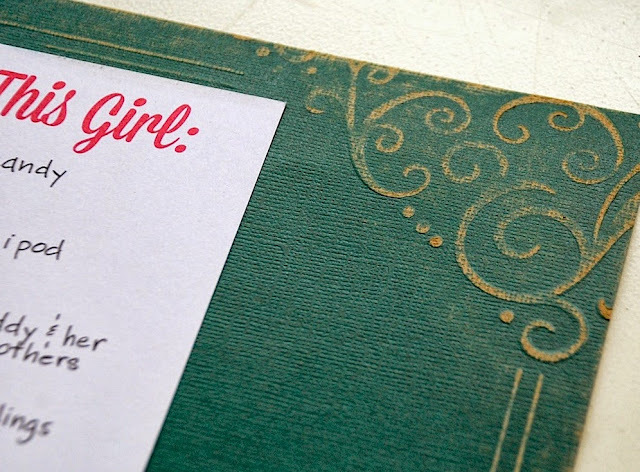 I embossed the corners of the cardstock (TH Kraft Core by Core'dinations) by placing an embossing folder on the corner (at an angle) and running a rolling pin over top. You have to push and give it a fair bit of pressure. Once embossed I sand the image gently. 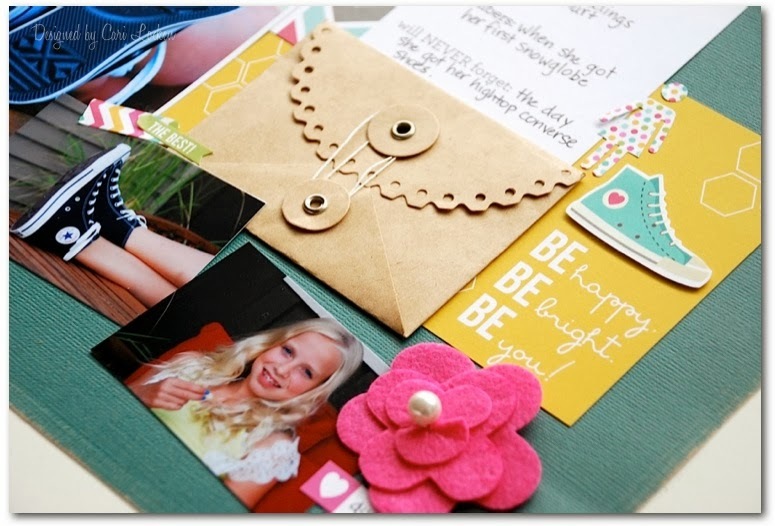 I just love the Maya Road kraft envelopes! Aren't they darling? .... and those Vintage felt flowers? Ah, they are just so pretty. I used the Xyron High Tack Adhesive Dots to adhere them to my layout (even though they had a bit of adhesive on the backs already I wanted to give them a bit extra to make sure that they stayed on the cardstock). 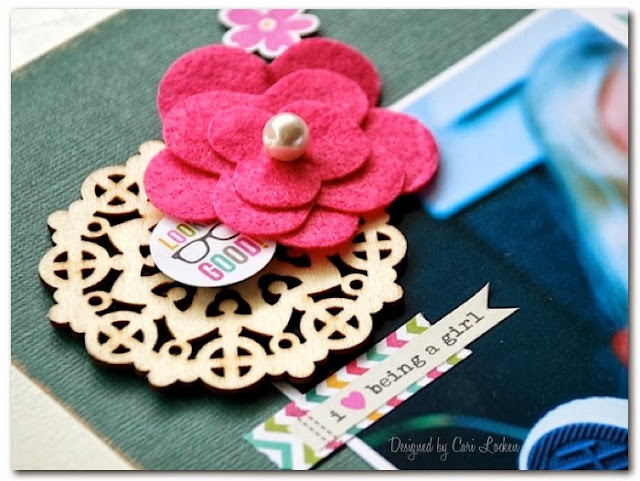 The wooden doilies by Maya Road are the perfect addition to any type of project. Make sure to check out the rest of the work from both companies' design teams! Love the joyfulness of this LO....colors, photos, theme, and everything. Thanks for sharing your tutorial. such an adorable layout! so cute and I love the tip about embossing the corner using a rolling pin.